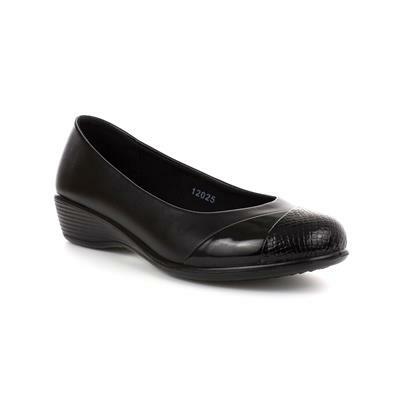 From Softlites, these womens black shoes let you rock both the casual as well as comfort wear. These comfy shoes showcase a round toe, patent and snake pattern front and a round toe. They also feature a comfort insole and a flexible outer sole. Shoes are nice just very wide for my feet, have to return. I have had problem trying to find shoes that I can wear. I found these shoes comfortable and stylish they look far more expensive than what I paid for them. I would recommend this company for service choice of goods and up dates of delivery of goods ordered. These shoes are good value ,& very comfortable .